Luxurious armlet made of Czech glass stones. Invisible flexible textile net holds the silver plated cups and stones together. 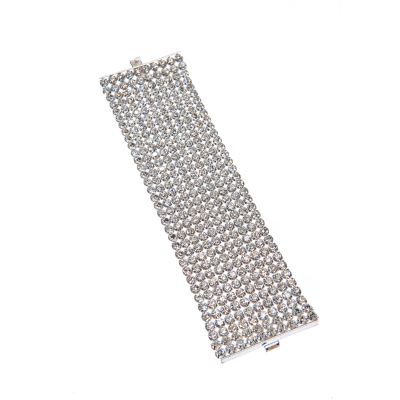 The bracelet is 19 cm long 5 cm wide. This product was made in harmony with legal social and enviromental law of the European Union. All REACH regulated heavy metals and other petentionally hazardous components are within legal limits. All materials are nickel free and hypoalergenic. Made with care in Czech Republic, Europe.